ChainLab, developer of Wings, a decentralized network for creation, participation and management of Decentralized Autonomous Organizations (DAO), announced today a strategic undisclosed seed investment from Bitmain Technology, the world’s largest bitcoin hardware mining producer. The funds will be used to advance the development of Wings platform prior to the Wings DAO launching, which is expected to occur by the end of Q2 2016. Wings is the first multi-Blockchain, Smart Contract based platform for DAOs. 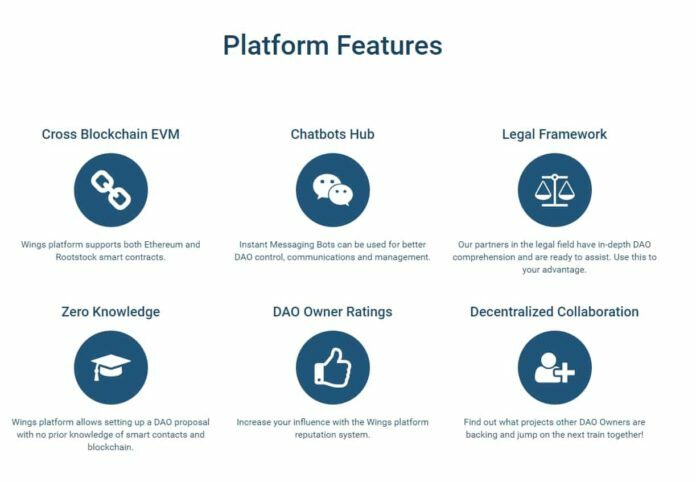 The novel system is realized by the integration of Ethereum smart contracts network, the RootStock Bitcoin Virtual Machine (RVM), InterPlanetary File System (IPFS), and 3rd party chat and instant messaging networks. ChainLab was founded by three Blockchain enthusiasts: Stas Oskin, Sebastian Stupurac, and Boris Povod; The team has prior extensive experience in Blockchain projects and has made it its mission to create scalable, independent and corruption-free solutions for real world problems using Blockchain technology. The team at ChainLab is currently focusing on creating a public Proof of Concept of the Wings that will showcase the team’s vision of how the creation, participation and management of DAOs should be an effortless and intuitive process, convenient and accessible to all. Wings will enable anyone with a smartphone to participate in DAOs. With the platform, launching and participating in DAOs becomes quick and intuitive as no smart contracts or coding knowledge is needed. Wings enables this by hiding all the complexity within a conversational user experience of decentralized artificial intelligence chat bots that interact with DAO creators. For DAO members, on-the-go DAO participation and management is realized through the use of the same chat bot interface in popular messaging applications. Subscribe to the Wings newsletter at https://www.wings.ai and be the first receive news of the upcoming release of the Wings white paper.